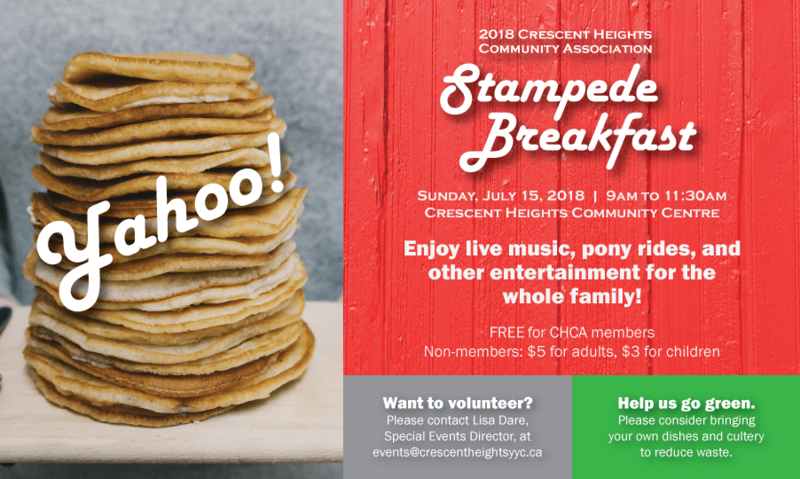 Our annual Stampede Breakfast is on Sunday, July 15th 2018. Come enjoy live music, pony rides and other entertainment for the whole family! Free for CHCA members, non-members $5 adults, $3 for children. Want to volunteer? Email Lisa. Help us go green, bring your own dishes and cutlery.